Welcome to the Rotary shop of Octon Inc., Tokyo, Japan. Established in 1982, Octon Inc. has been one of the official licensees for Rotary International since inception. 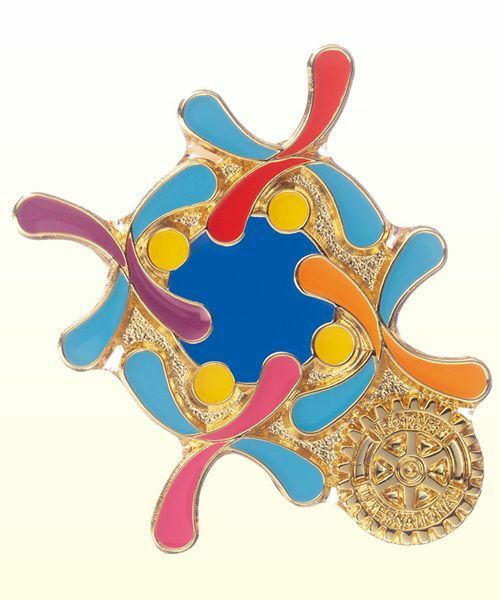 Octon Inc. sells products containing Rotary emblems and logos, primarily to Japanese Rotarians. In the past decades, we have also expanded our clientele to include overseas Rotarians as well by joining the Rotary International Assembly, Rotary International Convention, and Rotary International Presidential Conference. In addition, we' ve been proudly supplying Official Theme Items to the President of the Rotary International for past years consecutively. We hope that this web site will help any customer to reach us easily and to meet their expectations.